It looks like we'll be seeing Apple's latest update for its mobile devices, iOS 8.2, in March. With the Apple Watch expected to arrive in April, it makes sense that Apple would release a new update in the run up to its highly anticipated smartwatch. According to a trusted source speaking to BGR, that's going to happen next month. The iOS 8.2 update will bring a number of fixes and improvements to Apple's mobile operating system iOS 8, which has had a few problems since its launch. The recently released iOS 8.2 beta hinted at Apple Watch support coming with the latest update, and according to BGR's source Apple Watch support will be present and correct in the final release of iOS 8.2. Developers have already been working on Apple Watch apps and Apple is in the process of testing them to make sure they work flawlessly when its smartwatch launches. 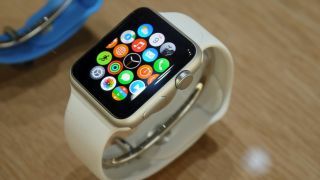 The Apple Watch is an important launch for Apple, and after the knocks it took with the shaky iOS 8 release, it will be working hard to ensure everything goes without a hitch.